Hashtag usage has significantly grown on social media over the last few years. Although hashtags have never gained real traction on Facebook, they have thrived on both Twitter and Instagram, as a way to group posts that cover a similar topic. Many brands create custom hashtags for particular campaigns, making it easier to keep all relevant posts and conversations grouped together. There are quite a few hashtag-tracking tools, helping you discover hashtags, and showing the popularity of particular hashtags over time. 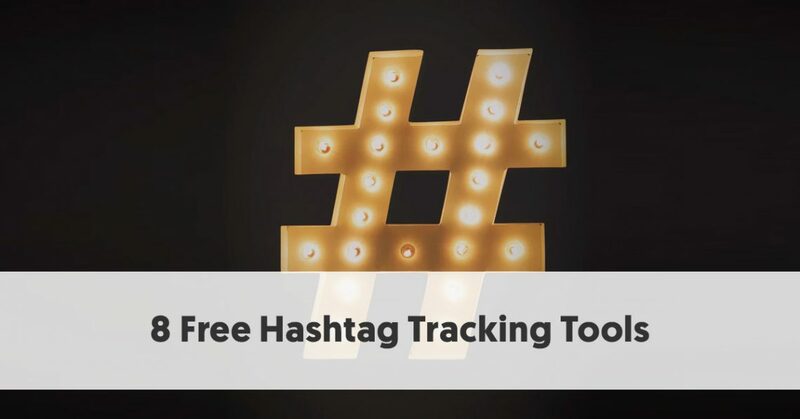 Unfortunately, most of the best hashtag tracking tools aren’t entirely free, although most do offer some form of free trial. However, there are free tools that can help you, depending on your exact needs. Even Twitter offers a robust hashtag search system to assist you in hashtag discovery. Tracking and finding relevant hashtags can be a challenge without expensive paid tools. However, it is possible with a combination of these free tools, combined with organized systems. If you are serious about tracking hashtags, it is worthwhile trying a few tools first, to find the ones that best meet your needs. This includes using any free trials of the paid products – by doing that you will know what features they offer and whether it is worth buying a paid plan. If that is not possible, you will at least know what to look for in the free tools that will best emulate those features you found most useful. Although primarily a paid product, Talkwalker does provide a free product demo, so you can see whether a fully featured product tracking your favorite hashtags is for you. Talkwalker also offers a free tracking tool you can use to follow your campaigns and hashtags. The hashtag analysis is part of Talkwalker’s Social Media Analysis module. This allows you to centralize all your social media data with one tool. It offers full hashtag and campaign tracking, providing data relating to shares, reach, engagement, and mentions. You can easily use Talkwalker for real-time monitoring of any selected hashtags, referring to your brand, campaign, or event. Talkwalker also allows you to get real-time updates on trending topics. These include an analysis of the top hashtags, people, and brands linked to trending stories. If Twitter is your social network of choice, you are lucky it has a robust advanced search feature. While you will be able to search for usages of particular hashtags, you will need to manually search for each term and then count and record the usages of each. Twitter even highlights trending hashtags on your Home screen. You can change the location to see what is trending elsewhere. If you click on one of the trending hashtags, Twitter will take you straight to a page showing recent tweets that have used that hashtag. While not hashtag-specific, this Twitter conversation includes a wealth of information about how to get the best results from Twitter Search. If you are a power Twitter user, you may already know that Twitter offers a useful tool to make your tweeting easier – TweetDeck allows you to run multiple accounts, as well as keep track of numerous hashtags, conversations, and importantly, hashtags. You can run your Twitter accounts directly within TweetDeck, even using it as a cleaner way to see live conversations unfold than in the native Twitter app. In many ways, it is like a cut-down version of a social media scheduling app, like Hootsuite, but limited to just Twitter. Moreover, it is totally free. You can use TweetDeck to easily track branded campaigns you are running, both for yourself and for a client. You can track multiple hashtag campaigns simultaneously. You can use TweetDeck to schedule your Twitter hashtag campaigns, however, remember it is limited to Twitter, so you can’t use it to schedule across all of your social accounts. Social Searcher is a free social media search engine. You can use it to track both users and mentions – include hashtag mentions. Its search engine allows you to monitor all public social mentions in social networks and the web. It is easy to measure and track what people are saying about your company, brand, product, service, or a specific hashtag, in one easy to use dashboard. Social Searcher allows you to explore the top hashtags on Instagram, Twitter, and other social networks that engaged your potential customers. It helps you to start adopting trending hashtags into your marketing strategy to boost reach. You can also use it to spot negative sentiment. Some people use negative hashtags to criticize a product or company. If you know these hashtags, you can see their use, and try to defuse any potential problems. Twubs helps you monitor hashtag performance and join Twitter chats related to particular hashtags. You can just enter a hashtag and begin monitoring conversations using the tag. You can post messages directly using your selected hashtags. You can even register a customized hashtag on Twubs. Registration provides you with a record of your claim that you can use in any trademark or other legal challenge. Twubs’ free registration also exposes the primary information about your hashtag in a format optimized for search engines, helping your SEO. Twubs makes it easier to find your hashtag, and collect all its uses together in one customizable feed. Twubs provides you with a single social landing page for you to communicate with those followers who take an interest in your customized hashtag. You can embed the conversations into your website or blog. TweetChat is another tool whose primary aim is to help you start a hashtag-based chat. All you have to do is to enter your selected hashtag on the TweetChat page, click the ‘Go’ button and log in using Twitter. It allows you to see what other popular Twitter chats are happening. You can post tweets, retweet, and like posts, all related to your selected hashtag within the TweetChat interface. If you find that a chat around a hashtag is so busy that it overwhelms you, you can quickly stop tracking the conversations related to the selected hashtag. TweetChat offers FavePages as a central place to enjoy and share your favorite tweets from the hashtags you follow. You can use them to explore what other users have favorited in the hashtags you are interested in and engage in. TweetChat indicates that it will soon release an upgraded version, called TweetChat+Pro. Amongst other features, this will include hashtag-level troll blocking. #Onemilliontweetmap takes a very different look at hashtag tracking. It tracks the usage of hashtags geographically. You can enter any hashtag you choose and graphically see where is popular now. #influencer, for instance, is currently most popular in the United States, South Africa, Germany, Mexico, and Austria. #Onemilliontweetmap provides you with an excellent overview of hashtag usage across the world. It offers useful filtering options, including the ability to set a timeframe. You can also set up a search, showing the hashtag usage from a particular time. For now, you are limited to rendering your data as a basic Cluster View, but soon you will be able to get more granular with Sentiment View. This will show where the hashtag has been used in a negative, positive, or neutral manner. #Onemilliontweetmap also gives you the choice of having a “Hashtag Battle” where you can compare the performance of two hashtags across the globe. All Hashtag began as a basic hashtag suggestion tool. It helps you to create and analyze fast and easy top relevant hashtags for your social media content and marketing. It is a completely free tool. You begin by entering a keyword, and All Hashtag provides a list of relevant hashtags that you just copy and paste into your social media posts. Hashtag Analytics - analyzes a hashtag and gives basic analytic information about your hashtag for your marketing strategy.